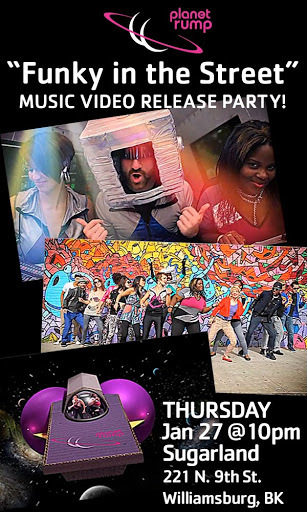 RELEASE PARTY for "Funky In The Street" music video TOMORROW @ Sugarland! We are SO AMPED to present the UNIVERSE PREMIERE of our first music video for “Funky in the Street”! Shot by Joe Colmenero on the streets of Williamsburg and outerspace, cut up by Tessa of Tayisha Busay, and visually pimped out by Grier of Great Tiger, the video is HERE!